I’m sorry for the scarcity of posts this week. It’s the holiday season and there are some pretty big changes happening in my life (I will discuss in a later post), which have kept me inexplicably busy. This post has been a long time in the making though. 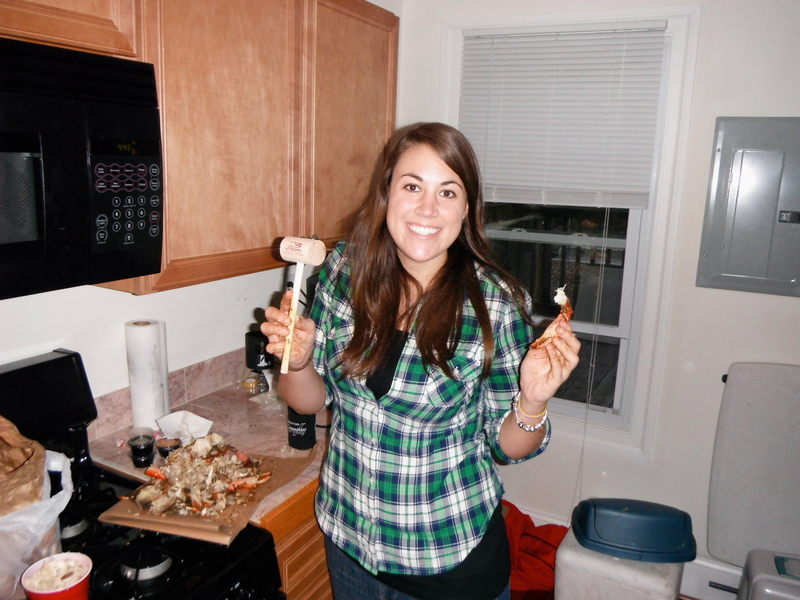 I moved to Maryland after college about two years ago and quickly learned that there are two things Maryland is known for: crab and football. 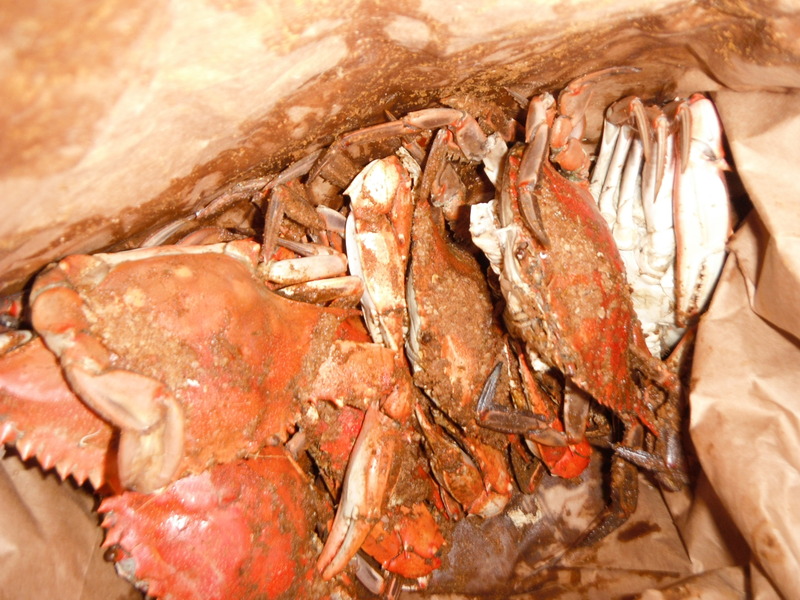 As part of becoming an official Maryland resident, I knew I had to try crab. 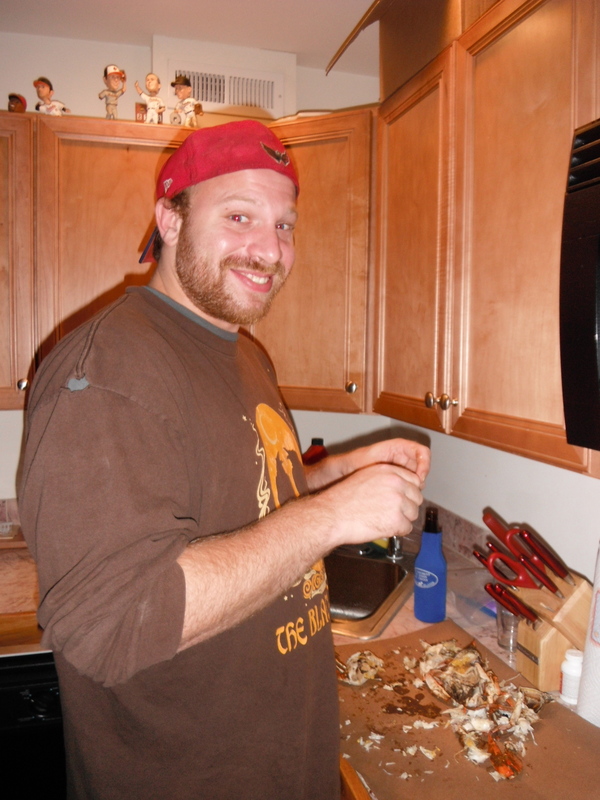 My co-worker/friend Mike(y), constantly would go on, and on, and on, and on, and on (no exaggeration here at all) about how awesome crab was and how it was a crime that I had never tried it. My first attempt was in crab cake form at a restaurant in Baltimore. I was impressed. 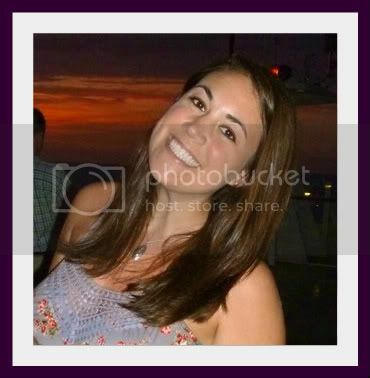 Later that summer, I went on a crab boat where we actually had to crack our own shells and pull the meat out. I only had 3-4 crabs that day (it’s hard work! ), but I thought they were delicious and craved more. That’s when the idea to make crab pizza was formed. I am on a crab kick and pretty much want to try every concoction I can possibly dream of. What could be better than combining one of my new favorite foods with one of my classic favorites? Nothing, I tell you, nothing. We decided if we were going to do this, we were going to do this right. 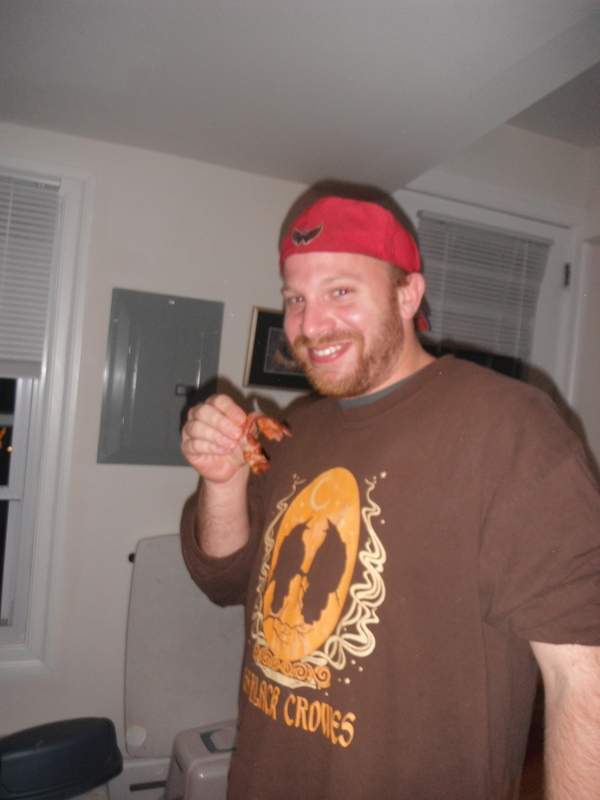 Mike lives in Baltimore, which is known for their crabs. 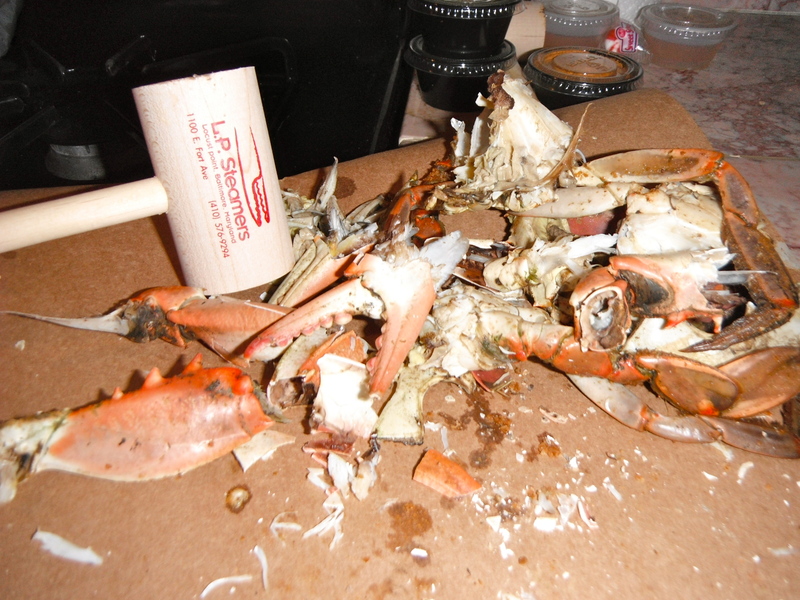 Before I arrived for pizza making he went down the street and picked up a dozen crabs from L.P. Steamers. I’m pretty sure he also tested one for quality control before I even got there…typical. After a quick refresher (for me, obviously Mike is a pro) on how to get the crab meat out, we got to it. I forgot how messy this was. 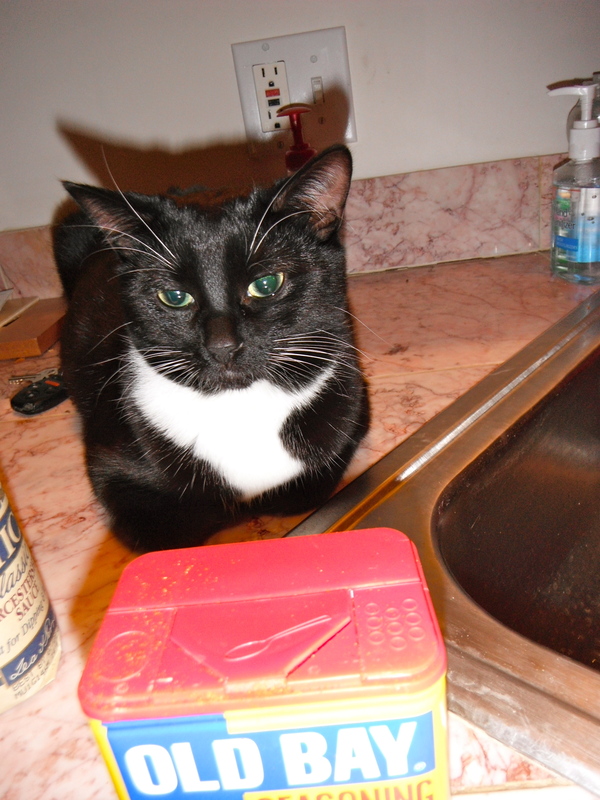 Luckily, we had some help from Layla, Mike’s cat. Pretty sure that nothing would have gotten done without her. Although I think she was just in it for the little crab snacks we were giving her. She loves some Old Bay. The concept of crab pizza seemed weird to me at first. My original thought was, “How the heck could that taste good? It sounds kind of weird”, but we decided on a recipe that included a cream cheese filling, and a blend of spices which reminded me of crab dip…except better! 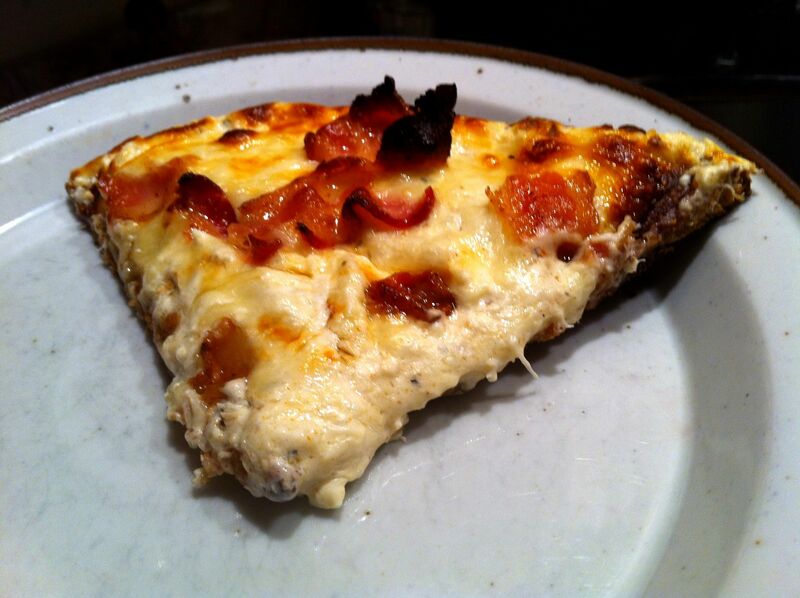 We, then, added cheese and a little bit lot of bacon to the top. See, I’m not the only bacon stealer around here! The crab filling on this was seriously so good. I could have eaten it alone by the spoonful. We made too much though, and put way too much on the pizzas. When I make this again (and I will) I will probably spread it a little thinner because it was literally oozing out the sides. Combine cream cheese, crab meat, milk, feta cheese, basil, oregano, garlic powder, and Old Bay in a large bowl. Spread over pizza crust (we cheated and store bought ours). Sprinkle swiss cheese and mozzarella cheese over the top. Add bacon (or any other toppings) as desired. Bake 10-12 minutes until crust is golden and cheese is melted. We served ours with some Old Bay french fries which are not pictured because we ate them so quickly that I didn’t have time to snap a photo. Oops! I think I’ve been officially inducted into the Maryland residents club. 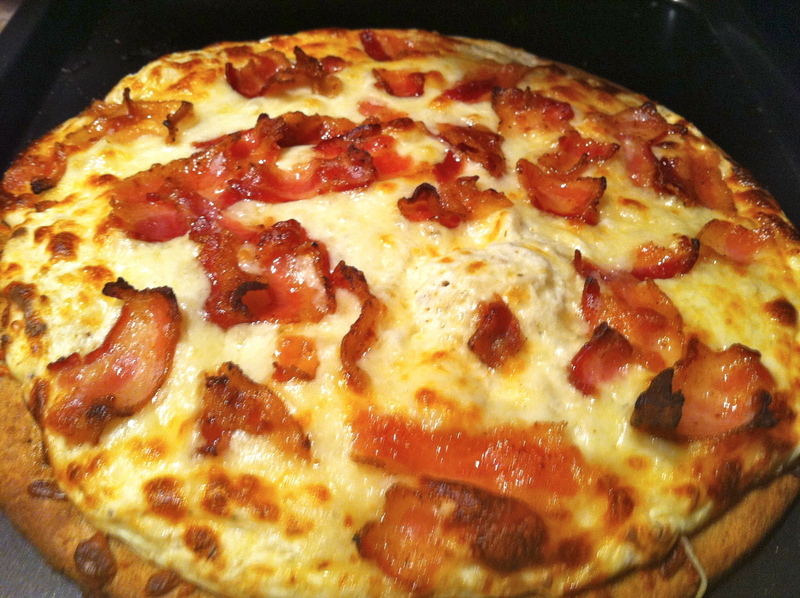 I’m pretty sure the key to making any great dish is to make it taste awesome….then add massive amounts of bacon and cream cheese to it. Let me know when you’re ready for round 2! That looks a thousand times better than the crab pizza we made. Nom Nom! You still need to try it! This sounds and looks sooooo delicious!! Please make some for me!!! Yessss! We need to cook together again soon. You’re a good friend Pera. But you’d be a better friend if you tried the crab! Crab is awesome. Lobster too ! Looks like you are getting the hang of this cooking thing. Lobster pizza? Hmmm…now that’s a thought! When there is anything that a man are capable of doing well, I believe that permit him to take action. Give him a chance.